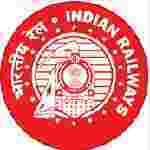 Northern Railway recruitment 2018 notification has been released on official website www.nr.indianrailways.gov.in for the recruitment of 3162 (three thousand one hundred and sixty two) for Apprentice vacancies. Job seekers should apply from 28th December 2017 and before 27th January 2018. Here on this page you will get the details like the Name of vacancies released by Northern Railway with exact number of posts. 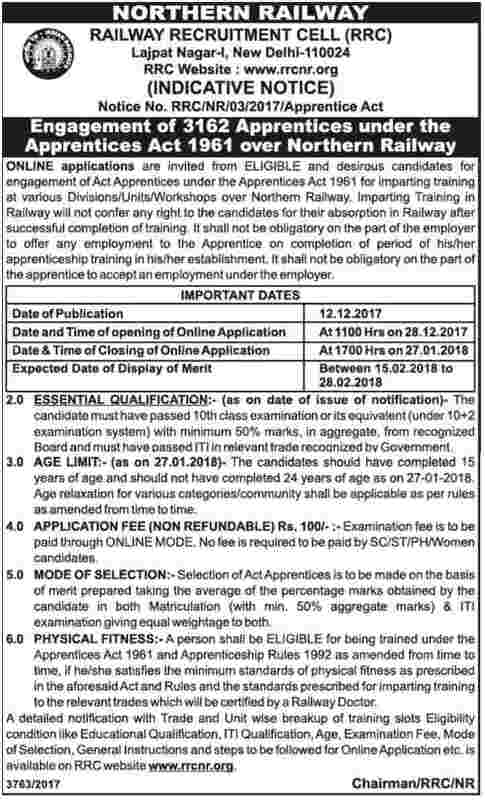 Some other criteria like Education details, application fee and way to apply application for Northern Railway recruitment 2018. Educational Qualification: Must have passed 10th class examination under 10+2 system of Education or its equivalent or ITI in relevant trades from a recognized Institute. Age Limit: The age of candidate should be between 15 to 24 years as on 27.01.2018. Fee charges: Applicants who wanted to participate for Northern Railway should pay the below charges through Online Mode. Interested and eligible aspirants should apply online through the website www.rrcnr.org on or before 28.12.2017 to 27.01.2018.